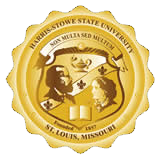 Harris-Stowe State University’s Division of Student Affairs considers students holistically–their intellectual capacity and achievement, emotional makeup, physical condition, social relationships, vocational aptitudes and skills, moral and religious values, economic resources, and their aesthetic appreciation. The Division of Student Affairs stresses the development of students as persons rather than merely their intellectual training alone. It is the focus of Student Affairs to assist students in developing to the limits of their potential and in making their contribution to the betterment of society. It is the mission of Student Affairs to assist students in developing and achieving their utmost capability through personal effort on their behalf and through mobilizing on their behalf, all the forces within the University that can be made to serve this end. Student Affairs emphasizes the individuality of students and their present needs and interests. Students should be looked upon as more than candidates for a degree; they are individuals who must be developed and trained for a life of service, intellect and actualization of their inner potential. The Division of Student Affairs is comprised of the Dean of Students, Counseling & Prevention Services, Student Engagement, Health Services, Residential Life, Student Conduct, University Book Store, and Dining Services. The main Student Affairs office is located in Gillespie Student Center and is open from 8a.m. to 5p.m., Monday through Friday. Evening hours are available by appointment. To contact the Dean of Students, call (314)340-5053. In keeping with the Division of Student Affairs to develop the whole student, mind, body and spirit, Counseling and Prevention Services provides students individual and group counseling as well as a variety of programs, to enhance students overall collegiate experience with a focus on personal, emotional, relational, and educational development, effective problem-solving and decision making. Confidentiality, empathy and privacy are ensured in a judgment-free environment. Counseling and Prevention Services works to assist students with the transition to campus life, so that they can successfully adapt to the academic requirements and personal and social interactions. Counseling Services assists students to strive for self-actualization and ultimately to put them in control of their lives. Counseling and Prevention Services works collaboratively with Academic Success, Student Support Services, the Academic Resource Center, faculty and staff to confront and resolve complications that hinder academic progress. Counseling and Prevention Services are available in the Gillespie Student Center from 8a.m. to 5p.m., Monday through Friday. Evening hours are available by appointment. Contact Counseling Services by calling (314)340-5089. Health Services provides effective health education, disease prevention and promotion of health, and wellness services for students, staff, and faculty of HSSU. In addition, Health Services places emphasis on promoting a healthy state of well-being while students pursue and achieve their educational goals. Overview Health Services is located in the Gillespie Student Center and is open from 8:00 a.m. to 5:00 pm., Monday through Friday. The University health care specialists are sensitive and responsive to the needs and perceptions of our diverse group of students. Health Services not only attends to the immediate needs of the University community, but also encourages and assist the community in developing a lifestyle that promotes health and wellness. This process should include, but not be limited to, maintaining a complete and accurate record of health information, including immunizations and yearly health histories and physicals. In addition, Health Services should assist students in monitoring potential health problems such as blood pressure, weight control, diabetes prevention and cancer detection. Health Services will provide documentation of services that will students in utilizing community resources. The mission of The Rev. Dr. William G. Gillespie Residence Hall and Student Center is to foster a healthy, civic-minded, supportive, academic residential community that enriches the educational experience at Harris-Stowe State University. The mission of the Gillespie Residence Hall and Student Center is carried out by linking the curriculum with residential living, which facilitates positive social interaction through programming and formulates civic engagement with the City of St. Louis. Gillespie Residence Hall offers four-bedroom suites with two bathrooms per suite, complete with kitchen facilities at affordable prices. Residential fees include telephone, cable TV and all utilities. The residence hall has laundry facilities and a weight room for residents’ use only. Gillespie Residence Hall is a residence facility for full-time students at HSSU. The Gillespie Residence Hall office is open Monday through Friday, 9a.m. to 5p.m. For more information, contact the Director of Residential Life at (314)340-5005. In addition, Gillespie Student Center is the site of Follett Campus Bookstore, conference rooms, a computer lab, a game room, Student Engagement office, Counseling Services and Health Care Services. To reserve any of the student center facilities, contact the Office of Student Engagement at (314)340-5053. Harris-Stowe State University’s newest residence hall opened in 2011 and includes 200 beds for freshmen students. All freshmen will enjoy suite-style facilities, which include a furnished living room, kitchenette, dining area and private bathrooms. Some of the suites are single-bed suites, with a private bedroom for each student, and others are double-bed suites in which two students share a bedroom. Students need not worry about trudging through the snow or rain to enjoy a meal as the new residence hall houses a state-of-the-art campus dining facility, including a private meeting room. Other building amenities include a cardio fitness room, laundry facility, mailboxes, community kitchen, 24-hour vending machine, and a public safety station, all located on the ground floor. The Dr. Henry Givens, Jr. Administration Building, which houses most classes, is only a two-minute walk from both residence halls. For more information, contact the Director of Residential Life at (314)340-5300. The mission of Student Engagement is to provide services, promote programs and maintain facilities that are responsive to student development, social, recreational and educational needs, while enhancing the quality of University life. Through the work of its staff and various committees, the department will serve as a laboratory where students can learn and practice leadership, critical thinking, social responsibility, management, programming and interpersonal skills. Students’ out-of-class experiences aid them in developing knowledge and skills that are consistent with the educational purposes of a university. The overarching goal of Student Engagement is to enhance the learning environment for students at HSSU. The Office of Student Engagement is a center for campus community and, as such, is an integral part of the institution’s educational environment, providing co-curricular and extracurricular complements to the academic sector of the University. The office is located in Gillespie Residence Hall, Room 110A. Normal hours are Monday through Friday, 8a.m. to 6p.m. To contact Student Engagement call (314)340-5030. Student Engagement is responsible for planning and implementing social and educational programs and services which are essential to the retention of students integral; to the promotion of a diverse educational community; indispensable to the achievement of educational goals and vital to the cultural, social, moral, intellectual, physical, leadership development of students. Ultimately, Student Engagement works to enhance the overall quality of campus life, establish a sense of community and enable all students to reach their full potential. For more information, please visit the Student Engagement web page: www.hssu.edu/sp_index.cfm?wID=30. In order to provide the various activities, programs and publications for HSSU students, a student activity fee is assessed. The fee, supplemented with other University funds, enables the Student Government Association to allocate financial resources for various programs and organizations, which serve all students enrolled in regular academic programs. The Student Government Association is allotted a portion of the funds for programs that benefit Harris-Stowe State University students. The Student Government Association (SGA) is a student-led legislative body with the primary purpose of developing and promoting student interests and participation in all activities at the University. The SGA, utilizing the designated Student Activity fees and other funding sources, supports the various official student activities and programs. The Student Government Association has the responsibility for appointing student representatives to the University’s various academic committees. Important among such bodies are the University’s governance committees of the various academic programs and disciplines. The association also appoints members and a chairperson of its own committees and task forces. All students enrolled at the University and in good standing, are members of the SGA and are strongly encouraged to participate in the association’s meetings and projects. The association normally meets on the second and fourth Wednesday of each month throughout the academic year, September through April. The executive board of the association is elected annually in April. The Harris-Stowe Cheerleaders are a group of men and women who enthusiastically support the University’s intercollegiate and athletic teams. The group accompanies the teams to their intercollegiate events and provides spectator spirit and enthusiasm. Membership on the cheerleading squad is by application. Each year, tryouts are held under the supervision of the cheer coach. Throughout the year, practice sessions are scheduled in preparation for home and away athletic events. For additional information, interested persons should consult the athletic director in the Emerson Performance Center. The Honeycombs are the majorettes of HSSU. The organization was started in the fall of 2006 with nine young ladies who shared a common love for modern dance. The Honeycombs perform at sporting and community events and are an essential part of the HSSU exemplify class, sportsmanship, style and technique. Those interested in becoming a Honeycomb Majorette can contact the Dean of Student Affairs at (314)340-5112. As an institution, Harris-Stowe State University has always been a part of the surrounding community and a leader in many arenas. Community-service learning is an ideal path to take for educational institutions to be visible in the communities that surround their campus. Community-service learning is an excellent way to provide students with an opportunity to learn about the community around them and discover ways for students to become active participants. Community service contributes to the well-being of the community and increases community awareness of issues, while enhancing relationships with the wider community. The community and community-based organizations recognize the value of service learning and how it directly benefits the community, increasing the willingness of the community to offer much-needed support for such programs. The ultimate goal is to show students how their classroom experiences relate to community service and to their lives. Volunteer fairs are held annually. Students, who wish to volunteer for community-service learning, should visit the Office of Student Engagement. Any chartered student organization may, after notifying the Office of Student Engagement, invite persons not affiliated with the University to speak on campus. Spaces are reserved in the Business Office (HGA Room 105). All contracts relating to the appearance of any outside guests or group at the University, which involve the expenditure of University funds and are sponsored by student groups, must be signed by appropriate University officials. Two weeks should be allowed for the processing of forms. There are several Greek organizations which still hold charters at Harris-Stowe State University, but have formed “City Chapters”, made up of undergraduate members from the various college and universities in the area.